Okay, so my driving assessment didn’t happen today, because reasons. I have to go back tomorrow. I came home and worked off the cumulative fury in my front garden, pruning pretty much 7/8 of the rose bushes off. It worked. The bushes look like they’ll face the next growing season much better too! Anyway, when I came in I remembered that a request had been made for some more cookies, preferably ones with chunks of chocolate and a touch of salt. So I thought I’d try a new recipe and made this one here. 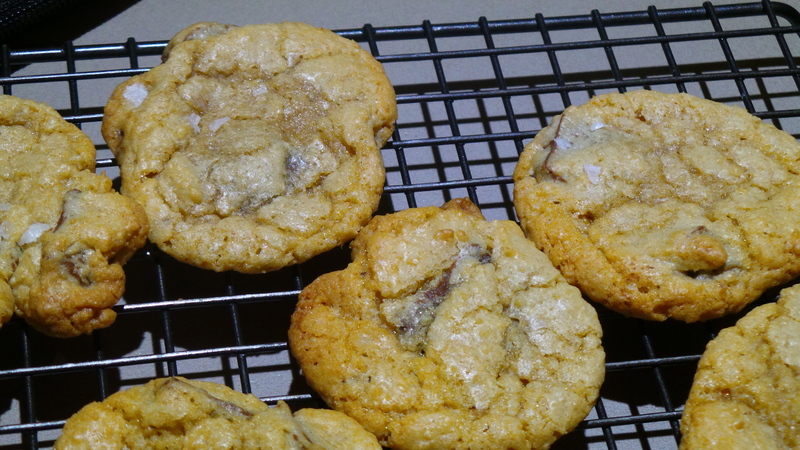 Coconut chocolate chunk cookies with sea salt. The Boy says they are good. I haven’t tasted them yet. If I agree with him, then they may end up on a post sometime. 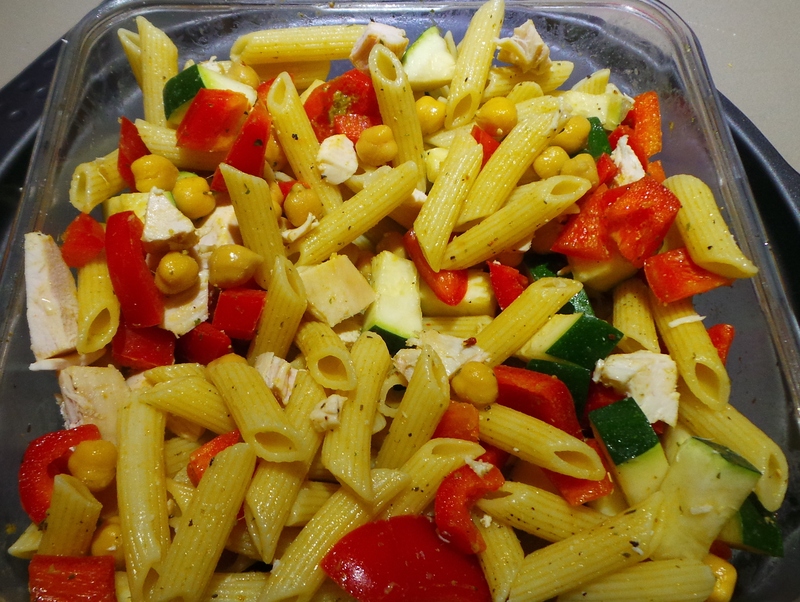 Pasta and other things mixed in a baking dish. 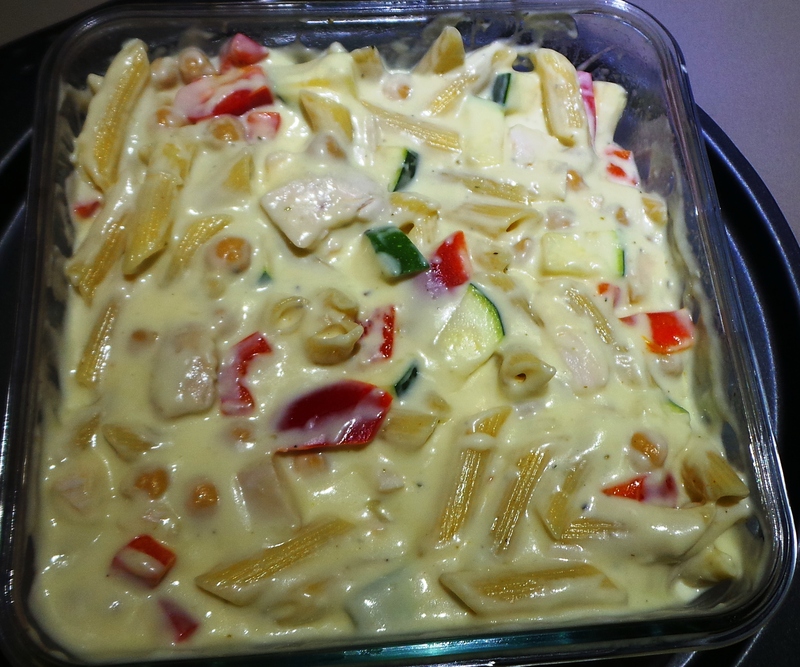 Make a quick cheese sauce to bind. 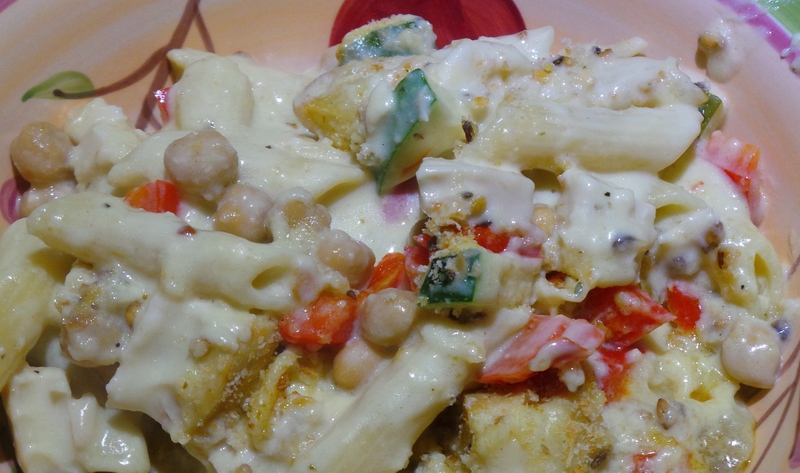 Then I made a white sauce and mixed through a few handfuls of grated tasty cheese and some mixed Italian herbs, salt and pepper. The whole lot was placed into the oven (which had been on for the cookies) and baked at 180°C for about 40 mins. 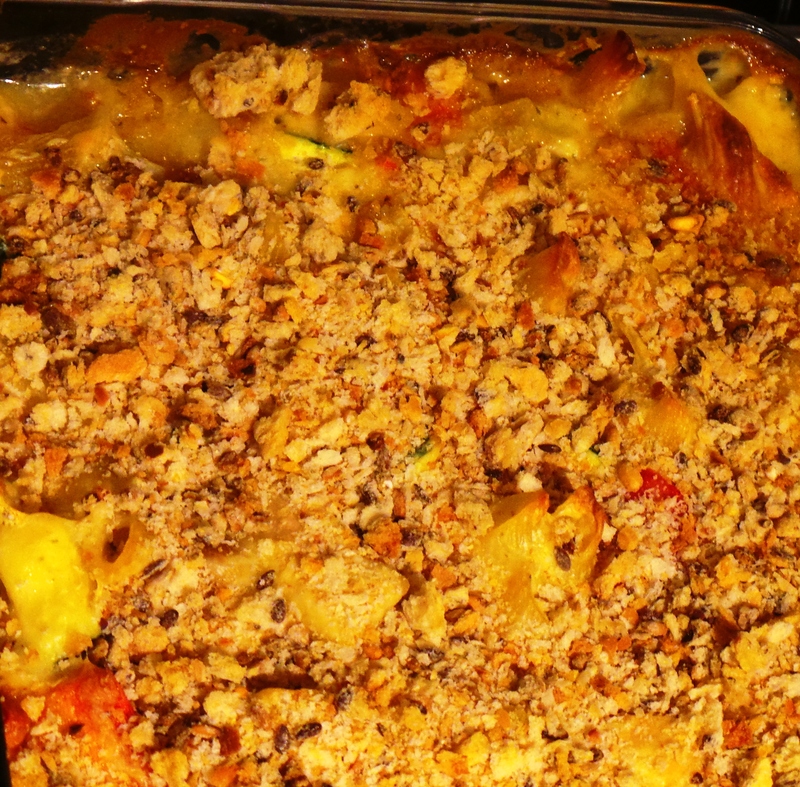 At that stage, I took it out and sprinkled the top with some home-made wholegrain breadcrumbs that I keep in the fridge – for added texture. It was baked a further 10 minutes after that. Then we tucked in. I had a small serving so I could follow it up with a bit of the leftover chocolate fudge pudding. The orange flavour from the zest was even more pronounced and it was amazing! There was enough pasta left for two or three servings. I love cooking things in that glass dish. It is one of a set of three that I bought from Kmart some time ago and which came with clip lock lids. They don’t seem to have the sets any more, but you can buy singles like this one. 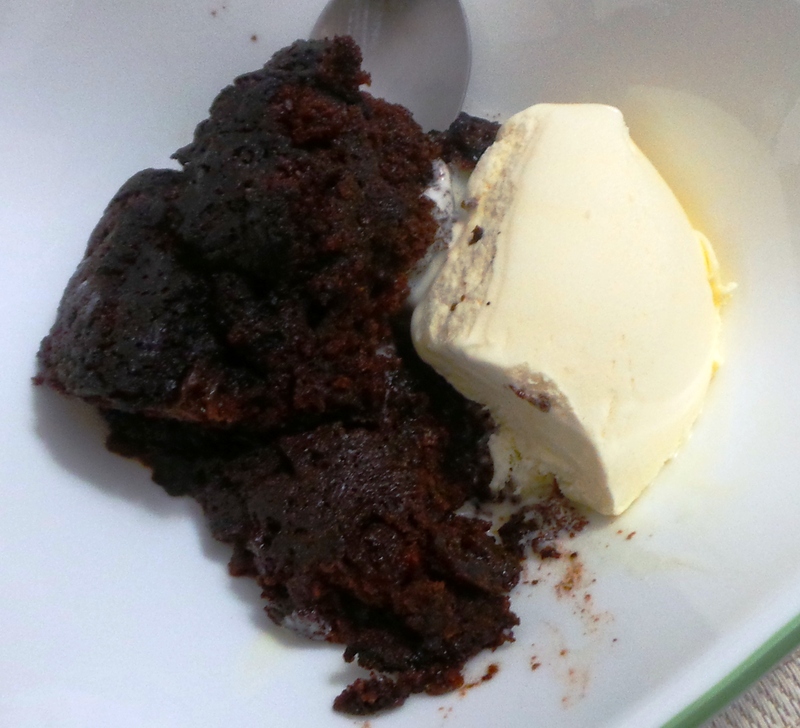 Hot fudge pudding and ice cream. I’d earned it. Anyway, I am now very tired from my gardening exertions and ready to crash.